The historical obedience to Moscow which has characterized most Latin American Communist parties since their creations in the twenties and thirties has been evident as the main cause for the rocky relationship between the "old" Cuban Communist party and Fidel Castro. Understanding this turbulent relationship is especially important during these critical days in Cuban history, in perhaps the final year of the Revolution, as we know it. This article will explore some of the highlights of the stormy and often violent relationship between the Cuban caudillo, his Fidelistas, and the Moscow-controlled party. It starts with a young Castro during his Jesuit student days, University days in Havana and touches upon his early disagreements with the old line Communists. It continues through the Cuban revolution, characterized by consistent party criticism of Castro, and terminates in the various party attempts to subjugate Castro to the Moscow line which eventually resulted in purges and executions of Old Communists and the reaffirmation of a Fidelista brand of Communism on the island. It touches upon the financial surrender and ideological capitulation by Castro, to Moscow, in the early 1970's and then upon the stubborn re-inventing of Communism in a post-Communist world of the 1990's. Understanding these facts will give a potential window as to what events may develop in Cuba over the next few years, and provide clues to the complete disappearance of the Cuban Communist party in a post-Castro regime. The future seeds of distrust between the old Cuban Communists and Fidel Castro were sown many years before Castro became an important figure in Cuban politics. Cuban communism has deep roots, which were strongly tied to Soviet Moscow. A seminal party was first organized in Havana on August of 1920 by a few admirers of the Russian revolution. The party was officially founded in August of 1925 by Julio Antonio Mella, a student leader, Carlos Balino, an associate of Cuban liberator Jose Marti, and Fabio Grobart, a Jewish tailor who ironically had escaped from Communist pogroms in his native Poland three years earlier. Although illegal, the party was well organized, and by the 1930's it dominated the powerful Cuban labor unions, which were amongst the most influential in Latin America. In 1933, a popular revolution succeeded in deposing the barbaric rule of the Cuban dictator Gerardo Machado (1925-1931), an uprising in which the Communists had a minor part. In his place, Ramon Grau San Martin and his Autenticos took over. More importantly, this period saw the emergence of Fulgencio Batista as the strong man in Cuba and the beginning of a close relationship between Batista and the Communists. To explore the reasons between this unseeingly paradoxical symbiosis, we must explore the decisions of the Comintern with regards to Latin America during this same period. The alliance between Batista and the Cuban Communists was not born of a Cuban decision, but Moscow's. Towards the end of 1934, Latin American Communist leaders met in Moscow to chart their respective parties' course in the continent. The forum was chaired by Dimitri Manuilsky, for many years head of the Comintern and one of Stalin's closest friends. The Cuban Communist party was represented by Blas Roca, its Secretary General. Years later, one of the Communist leaders at the meeting, Peru's Eudocio Ravines published what took place at the meetings. In this book, La Gran Estafa, Ravines revealed the decisions made concerning the future of communism in Latin America: insurrection in Brazil, a popular front in Chile, exalted nationalism in Mexico and an alliance with the government in Cuba via a twin party. This gave birth to the Unión Revolucionaria party and an alliance with Batista. In this Machiavellian display of liberalism, Batista granted legality to the party on 24 September, 1938, and Moscow's strategy of courting Cuba's strong man had succeeded. A year later, backed by the Communists, Batista allowed free elections in order to obtain a constituent assembly to legitimize his puppet president, Laredo Bru. Despite Communist control of the Cuban unions, anti-Batista candidates won 41 of 76 seats, receiving 225,223 votes, while Batista and the Communists won 35 seats via 97,944 votes. There was, however, no slackening of Communist support for Batista, and the Comintern announced that "we must work openly for Batista's policies." Batista, who rationalized it to his own failure to identify completely with the government, greeted this setback in the elections with surprising candor. His efforts in 1938 must be seen as a tactic to jockey for 1940, for he soon announced his candidacy for the presidential elections of 1940 and resigned as chief of the armed forces. The Batista triumph in the 1940 election was possibly the only honest presidential election in Cuban history and it truly strengthened the Cuban Communist party's bonds with the Cuban strongman. Although Juan Marinello, later a member of Castro's Politburo, lost his bid for mayor of Havana, both he and Carlos Rafael Rodriguez (who eventually became Castro's Vice-President) became Batista's close allies and members of his cabinet. The age of behind the scenes maneuvering was over; Fulgencio Batista, the descendant of Italian, Spanish, Chinese and African forebears and who was not allowed to join the Havana Yacht Club because of his mixed race, was legally in charge. The 1940-1944 Batista presidency was blessed by an outburst of prosperity throughout Cuba caused by world demands of sugar, nickel and manganese, derived in turn, by the Allies' needs in World War II. As a result, the nation calmly approached the elections of 1944, and Batista, anxious to appear the good democrat, stepped down from the Presidency in favor of his handpicked candidate, Dr. Saladrigas. Doubtlessly, Batista would have continued to play an important part in Cuban affairs, once again behind the scenes. However, once again a fairly honest election set back the Batistianos and Communists, and Dr. Ramon Grau de San Martin, an ex-University professor from the socialist interlude of 1933, with wide student backing, won the elections. Batista faded into the background, with a fortune of twenty million dollars amassed since 1933, yet Carlos Rafael Rodriguez and Blas Roca were to hint, in their 1945 book En Defensa del Pueblo, that "the people's idol, the great man of our national politics" was not gone forever. History would prove them right. Although the young Castro was to say later that he was a "political illiterate until he entered the University," he began to clash with the Cuban Communists as early as 1944, his last year at the Jesuit Belen School in Havana. It was from the tribune of Belen that Castro attacked the educational thesis of Juan Marinello, then president of the Socialist Popular Party and a Communist senator as of the 1944 elections. Marinello's proposed thesis directly affected private education in Cuba, and thus Castro's own Jesuit Alma matter of Belen. Although Castro was but a High School student at the time, the Communists took exception to his words (in which he implied that Marinello's plan was based on Russia and Nazi Germany's) and retaliated with a vicious attack on the young Castro in the pages of Hoy. As Castro entered law school in October of 1945 at the University of Havana, Grau's government gradually moved to the right, and became entangled in deep corruption and lawlessness. Political loyalties at the University reflected the volatile and often violent nature of its students, and eventually the young Castro joined the Ortodoxo party of the incendiary Eddy Chibas. This magnetic politician was to become the charismatic spark in Castro's life. Eduardo Chibas, much like Castro, came from a well-to-do Galician family from Guantanamo, in the Oriente province. 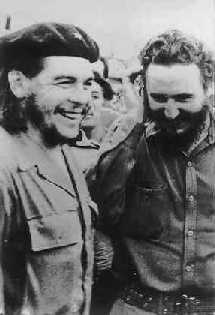 Like Castro, he was educated by Jesuits, but unlike the young Castro, Chibas was a member of the Cuban elite. 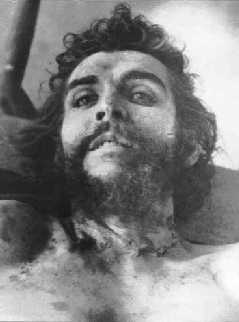 This deeply religious, yet violent young man was strongly anti-Communist, well traveled and an imposing, incorruptible figure in Cuban politics. His influence on Castro would reach crucial implications in later events. The 1948 elections saw the emergence of Carlos Prío Socarrás as a minority President, the loss of the Communists' three seats in the Senate, the rebuke of the Communists offer of alliance with Chibas, and the ominous return of Batista as an elected senator. The San Martin years had been years of deception and disappointment, with rampant gangsterism on the streets of Havana and violent confrontations amongst students vying for posts in the autonomous University. It was during Castro's several attempts to get elected to various University posts that his next confrontations with the Communists came. Alfredo Guevara (who later became Castro's ambassador to UNESCO in Paris and at the time a University Communist leader) recalls Castro as a "volcano who could block his [Guevara's] Communist group...therefore we had to conquer or vanquish him." It was the events in Bogotá, Colombia, during April of 1948 that would highlight Castro's revolutionary nature and bring his next confrontation with the Cuban Communist party. The event known as the Bogotazo was to give Castro a taste of urban fighting and nearly bring the government of Colombia to its knees in five bloody days. "was shocked to discover that the Cuban Communist Party sharply criticized his 'adventurism' and 'putschism' in participating in the Bogotá street fighting. The Communist Alfredo Guevara was in Bogotá with Fidel...but he never stirred out of his boarding house during the disturbances; obviously Guevara knew the Party line and the impulsive Fidel did not." The suicide of Eddy Chibas in 1951 created a political vacuum in Cuba, which eventually resulted in the reemergence of Batista in Cuban politics. A few weeks after Chibas' suicide, Castro met with Colonel Batista, a Senator at the time, for several hours in Batista's ranch. No records exist of what was discussed, but several weeks later Castro was nominated by the Ortodoxo Party as a candidate for Congress. Had the elections taken place, the course of future history might have been different, but on the dawn of March 10, 1952, Fulgencio Batista usurped control of the government in a bloodless coup. The next day, already proclaimed chief of state, he moved into the presidential palace that he had vacated eight years earlier. The deposed president Carlos Prío Socarrás escaped to the United States with a massive fortune. The Cuban revolution was born directly as a result of Batista's coup d'etat. The colonel's rule was so widely hated by most sections of the population, including the highly racist Cuban upper class, that it unified the opposition in such a way that differences were pushed aside in search of the common goal against the dictator. The Communist Party, on the other hand, entered a period of confusion at this stage, as reflected in their editorials in Hoy: would their old ally still protect them? That was the foremost dilemma in the Party's concerns, for 1952 had seen steady erosion in the Party's influence upon Cuban politics, highlighted by the loss of control of the Cuban unions. The unions were now controlled by Eusebio Mujal, a Guantanamo ex-Communist who had changed allegiances and was now not only the leader of Cuba's powerful CTC (Confederacion de Trabajadores Cubanos, created by the Communists during their earlier honeymoon with Batista) but also a dangerous and rabid anti-Communist. In the early 1940's the Communists were allies, but now the Cold War had changed the environment in Cuba and the rest of the world. The Communists would soon be caught between Batista and the anti-Batista forces. Meanwhile, the dictator closed down all opposition newspapers (Hoy, however, was allowed to remain open), terrorized editors and students, broke relations with the Soviet Union, and outlawed the Communist Party (but not its daily newspaper). The Communists entered a period of dangerous coexistence with the dictator; Fidel Castro entered a period of war and Cuba was with him. The core of Castro's movement (later known as the 26th of July Movement) was formed in the middle of 1952. The nucleus was formed by members of the Ortodoxo party and friends of Castro. Communists were automatically excluded from joining the Movement. The exception was Castro's younger brother, Raul Castro, who was close to the Communist Party at the University. On July 26, 1953, Castro and 131 fighters attacked the Moncada Barracks in Santiago de Cuba, province of Oriente. The attack was a miserable failure, and most of the attackers were captured, tortured horribly and murdered. 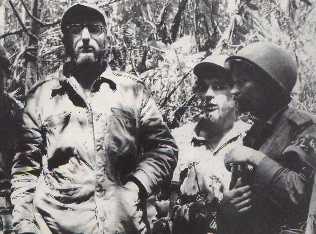 Castro and a group of followers escaped to the hills and eventually surrendered in order to stop the torture and repression unleashed by the manhunt. On his capture, he was saved from assassination by Lieutenant Pedro Sarria, an honest Batista officer who apparently knew Castro from his University days. The Moncada attack and the inherent Castroist strategy of insurrection ran completely against Marxist-Leninist theories, which is why the Cuban Communist Party refused to support him. Lázaro Peña and Joaquin Ordoquí, two prominent Party leaders publicly decried the attack and the Party itself published a statement in the American Communist daily newspaper the Daily Worker, describing the event as "a putschist method peculiar to all bourgeois political factions." Furthermore, the Party called the attack "adventurist" and "false and sterile." These caustic remarks were not born out of love for Batista, who had quickly arrested all Communists after the attack (he later released them), but simply because the Party was directly ruled from Moscow, and Castro did not follow Moscow's dogma. "instead of sterile and inopportune theories about a putsch or revolution, it should have been the hour of denouncing the monstrous crimes the government has committed, assassinating more Cubans in four days than in the previous eleven years." Ten days after the Moncada trial, in which Castro delivered a magnificently eloquent defense (the "History will absolve me" speech), Batista announced there would be general elections a year later, on November 1, 1954. Several days later, censorship was lifted and civil rights reinstated. It was soon evident that the tyrant wanted to legalize his claim to the presidency by obtaining victory at the ballots. From jail, Castro called for a boycott of the elections, and expressed rage when former President Grau San Martín announced he would run for the office (he later pulled out). Castro was even more dismayed when the Communists decided to back Grau (who had persecuted them during his term) against their old ally Batista. On the first of November 1954, Batista was returned as President without opposition, and in the air of victory surrounding his legalization as President, the colonel committed his gravest error: he declared a general amnesty for all political prisoners; Castro was once again free to do war. Self-exiled in Mexico, Castro was soon flooding the island with pamphlets, letters and manifestos aimed at rebuilding the 26th of July Movement. 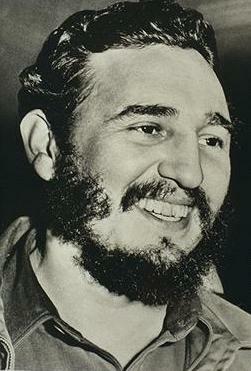 In his writings, Castro called for revolution as the only alternative to Batista. The Ortodoxos (still nationalists and rabid anti-Communists) soon joined his call, and for all intent and purpose, the party blended in with the Movement by mid 1955. The Communists, on the other hand, "had no interest in Castro's insurrection, still believing they could control or coordinate militant opposition to Batista in Cuba." The Communists went as far as attempting to block Castro's departure from Cuba to the relative safety of Mexico. Raul Castro, now a full fledged member of the Communist Party, remains a dark mystery in all these events, always at the side of Fidel Castro. "What morality does Señor Batista have to talk about communism since he was the Communist Party's presidential candidate for the 1940 elections?...and his campaign posters were protected by the hammer and the sickle?...and there are still plenty of photographs of him together with Blas Roca and Lazaro Peña?...and half a dozen of his present ministers and trusted assistants have been prominent members of the Communist Party?" Castro was in fact accusing the dictator of having been a Communist in the past or at least a sympathizer! It was a classic exchange, with both leaders using Communist slurs to denigrate the other. On July 15, 1956, Castro declared publicly in Bohemia that any accusations of Communist connections were "absurd" and that he did not have any relations, of any kind, with the Cuban Communist Party. The public denials of Communism would continue until 1961. Raul Castro, clearly a Communist, remained silent throughout this entire period. Towards the end of November 1956, Castro purchased the American yacht Granma from Robert B. Erickson in Mexico. On December 2, 1956, Castro and 82 followers, after being lost at sea for several days, beached the overloaded yacht in the Oriente province. Soon afterwards, the rebel force was betrayed by one of its guides and nearly destroyed by Batista's army. Castro and a handful of rebels managed to make it to the Sierra Maestra Mountains. 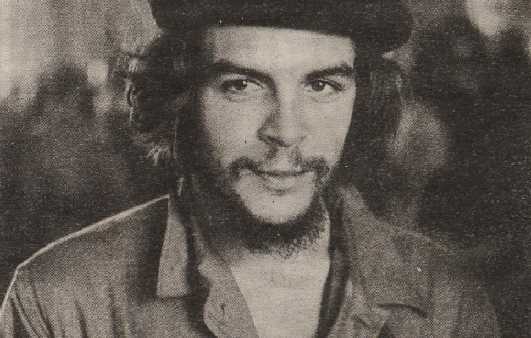 Amongst the survivors were his brother Raul and the enigmatic (and asthmatic) Argentinean doctor Ché Guevara. Alongside the charismatic Camilo Cienfuegos, and others, within 25 months (mostly spent sitting around the mountains until the final 2-3 months), they would be in power. "The old Communist Party had little that could attract the new generations of young rebels, while the older liberal anti-Batista elements would not even consider cooperation [with the Communists]...this Communist weakness had some significant consequences, not the least being that it contributed to the inability of the working class to take a leadership role in the revolutions against Batista...they probably figured that Batista, like most other dictators in Latin America, would eventually be succeeded by some more liberal regime. If such a compromise solution was going to be found, the Party wanted to ensure that it would be in the strongest possible bargaining position." The Communists docility and dangerous co-existence with Batista included several painful episodes in the struggle against the tyrant, such as the Party's boycott of anti-Batista demonstrations and their siding with Batista's police against a group of organized demonstrators as early as November 19, 1955. In reaction to the Hubert Matthews interview of Castro, the Communist Party publicly rejected Castro by stating their "radical disagreement with the tactics and plans of Fidel Castro." Finally there was the infamous event known as "The Humboldt Seven" crime, which was to poison relations between Castro and the Communists well into the 1960's and culminated with executions and arrests of several Party members in the early 1960's. On March 13, 1957, the militant student group known as Directorio Revolucionario attacked the presidential palace and nearly killed Batista (who was saved by a dud hand grenade and incredible luck). The immediate reprisals by the Havana police and other armed factions was ferocious, and Lieutenant Colonel Esteban Ventura Novo achieved fame by the bloody terror in which he engulfed the capital in the manhunt for student leaders. Among the many detained during the days of terror were several Communist students, one of which betrayed the location of the rebel safe house. The apartment was located at number seven Humboldt Street, hence the name of the episode. Surrounded by Havana policemen, four rebel students surrendered, and Ventura immediately killed them. The traitor, a Communist student named Marcos Rodriguez, for reasons unknown to this day, was subsequently protected by powerful Party leaders Joaquin Ordoqui and Edith Garcia Buchaca. The Rodriguez trial in 1964 led to his execution and the subsequent arrests of Ordoqui and Buchaca. I will discuss the event in more detail later in this article. Communist students and leaders had been against the attack on the presidential palace all along, and remained staunchly against Castro's insurgency throughout its first year. Juan Marinello, as guerrillas fought in the mountains and students died on the streets of Havana, wrote to Herbert Matthews in 1957 that "there's no need for a popular insurrection," and that 26 of July Movement "is following mistaken tactics...for that reason we do not approve of its tactics." Their reasoning was clear: Moscow did not yet approve of Castro and they were playing for evolution (like the 1930's and 1940's) rather than a violent course. An even more serious confrontation between the Communist Party and Castro was soon to take place. On April 9, 1957, and using his new rebel radio station, Castro called for a general strike against Batista in an effort to bring down the dictator. For various reasons, the strike failed, and at least 100 Cubans were killed that day and several hundred arrested. Soon Castro charged that the Communists had "sabotaged the strike to promote the downfall of the [26 of July] Movement." Later, Castro was to say in an interview to Look magazine that "the Cuban Communists...have never opposed Batista, for whom they have seemed to feel a closer friendship." Throughout this period, the shadowy Marxist figure of Ché Guevara, always close to Castro, was becoming a romanticized legend (he would die in Bolivia seven years later). A known Communist (and one of the most courageous and reckless fighters in the war), even Guevara had harsh words for the Cuban Communists during the struggle. In 1958 he wrote that there were "mutual fears" between the rebels and the Party, and "fundamentally, the Party of the Workers has not perceived with sufficient clarity the role of the guerrilla." By now the Chinese and Viet Nam models were becoming known and Guevara, a fearless fighter and formidable figure in the mythology of the revolution, further added that the Party members "were not capable of forming cadres that can capture a machine gun nest in an assault," an obvious reference to the lack of Communists in the armed struggle. After the revolution, he further added that he "only knew of three Communists who had participated in combat." Besides himself and Raul, one wonders who the third Communist was (Raul Castro's future wife, Vilma Espin was also a known Communist; however, she was one of the urban guerrillas working under Frank Pais, who was strongly anti-Communist. Of interest, a persistent rumor blames her as the traitor responsible for Pais' death at the hands of the Batista police). 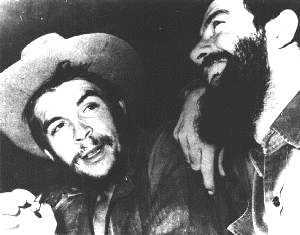 Years later, the courageous and always devout Communist Che himself would fall out of grace with Castro because of his anti-Soviet stance and die, betrayed and abandoned by Castro, in the plains of Bolivia. "Che", claims Dariel Alarcon Ramirez, who joined the rebels in 1956 and fought alongside Revolution hero Camilo Cienfuegos during the revolution and with Guevara in Bolivia, "left Cuba after being accused of being a Trotskist and a Maoist.... and because of the problems he had with the Cuban government, specifically Fidel and Raul Castro." When the sudden realization that Castro might actually win finally dawned on the Communists, they commenced to make contact with the rebels. The first Communist to actually move in the Sierra (working interestingly enough for Raul Castro) was Jose Ramirez Cruz, who began political organization of Sierra peasants. 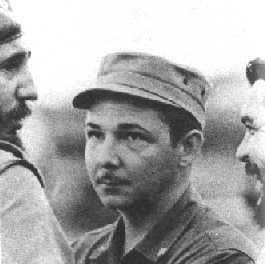 In June 1958, Carlos Rafael Rodriguez, then Batista's ex-minister and much later Vice-President of Castro's Cuba, joined the rebels in the mountains and remained there until victory was achieved six months later. How did this occur? An unsolved enigma and it is perhaps the earliest indication of the revolution's gradual change to red. Although secret operational accords were made with Rodriguez during this time, it wasn't until December 1958, a mere month before the final victory, that the Cuban Communist Party officially endorsed the rebels with the publication of La Solucion que Conviene a Cuba, which supported the efforts of the rebels and discussed what the program of the new revolutionary government ought to be. On New Year's Day, 1959, Batista fled the country, and Fidel Castro and his band of bearded rebels were in control of Cuba. Historians for the most part agree that Fidel Castro had already set a course for Cuba which included Communism when he triumphed in 1959. The seeds of Marxism were probably planted during his University days and germinated with Guevara and Raul Castro at his side. It was, however, a Fidelista brand of Communism which was to rule the island with a bloody iron fist and was to bring the next wave of clashes with the old guard of the Party. "How strange, it said, that Carlos Rafael Rodriguez, who once was a minister in Batista's cabinet and who was scarcely more than a tourist during the fighting in the Sierra, is still a leading figure in the PSP. The Catholic Church is more sensible, removing from positions of leadership those who were too compromised with the recent past to be expected to go along with the current revolutionary process." "As for being a Communist, there is no objection if one is a Communist 'pure and simple,' since it is one of the many ways of understanding reality; but to be a Communist in a Party that belongs to the Comintern is something else again, for it undoubtedly means adopting a type of Marxism compromised by the interest and needs of a metropolis that one blindly believes will bring about the establishment of socialism over the entire globe." The essence of this article on the distinctions of Communists was prophetic and significant. It reflected an original point of view that would eventually give birth to Castro's own sense of Cuban Communism, initially free from Muscovite dogma. By the time Castro formally declared that he was a "Marxist-Leninist" in December 1961, the Cuban Communist Party was firmly in control, with Castro's blessings, of the Cuban Revolution. However, Castro was still firmly in charge, and old animosities would flare again soon. Paradoxically, Castro's declaration of allegiance to Communism was greeted with great enthusiasm in Washington (the "I told you so" attitude), but it was suppressed in Moscow. Earlier in 1961, during the July 26th anniversary speech, Castro re-organized the three recognized revolutionary organizations (the 26th of July Movement, the PSP (Communists) and the students' Directorio Revolucionario) into a new party called ORI (Integrated Revolutionary Organizations). Castro proposed that the ORI be considered the forerunner of the Partido Unido de la Revolucion Socialista or PURS. The main task of setting up the ORI was given to Anibal Escalante, possibly the most influential of the old Communists and a highly regarded subject in Moscow. The creation of the ORI-PURS was Castro's first steps in legitimizing his revolution as a Communist-oriented one. Castro intelligently recognized that the Communist party leaders were extremely able in organizing the political muscles of the country in a manner which would benefit his upcoming official joining of the Communist bloc. Power, however, was to remain in Castro's hands, not transfer to the Party. "On November 10, speaking to the... new party's information, propaganda and censorship department presided by Anibal himself, Fidel declared: 'It is important for us to bear in mind that Marxism is not a catechism,' and then went into a long disquisition on this theme. 'Dogmatism,' he pointed out, was the root of the trouble. It was responsible for the poor quality of the press. We must, he said, fight against stereotype expressions and ideas... he wound up with a startling indictment of overzealous revolutionary vigilance: 'Arbitrary arrests must stop!" I am going to criticize something that took place here tonight... and will provide an example for revolutionary analysis... The master of ceremonies was reading the political testament of Jose Antonio Echevarria [the slain organizer of the attack]... while he was reading we were following the text... and noticed he skipped three lines which said... 'may God grant we succeed in establishing the kingdom of justice in out fatherland.' When he finished reading, I asked him about it, and he said: 'They gave me instructions.' "
"Is this possible? Can this cowardly act be called the dialectical conception of history? Can such a manner of thinking be called Marxism? Can such a fraud be called socialism?...What a myopic, sectarian, stupid, and crooked conception... No, we can't let this go by... What are they trying to do with this revolution? Transform it into a yoke for oxen or a school for puppets?" Three days later, Revolucion's editorial was titled "The War Against Sectarianism". That same day, Castro again started a tirade against "them" in a speech given at a graduation exercise. Two days later he escalated his attack by claiming that the ORI had "lost touch with the masses... imposed on the nation a despotism 'almost indistinguishable from Batista and his henchmen'"
The causes for Castro's alarms were to be found in the events that had preceded his speeches. Earlier in March, Escalante had announced the National Directorate of the ORA. Ten of the 25 members were "old" Communists, including Escalante. Ten days after Castro's tirade against "them," the press announced that six of the 25 members had been selected to form the ORI Secretariat. Significantly, it only contained one "old" Communist (Blas Roca) and excluded Escalante. Furthermore, Roca was ranked last of all the members of the Secretariat (he was to eventually disappear from the top circles altogether). Ranking first of the six, as First Secretary, was Fidel Castro. The stage was set for the purge. On 27 March, Castro minced no words as he fired Anibal Escalante and exiled him from Cuba during a nationally televised speech. He blasted "sectarianism" and (referring to the "old" Communists) said that they had the "belief that... the only one capable and trustworthy to run a farm, or cooperative, or hold any important job in the state apparatus are the members of the old Communist Party." He further reminded his listeners that the function of the Party was "to orient... and not govern." Concerning Escalante and company, he said "this type of disease can't get very far in our country because we don't go for this meek submission; we are not easily domesticated." Although the acceptance by present day Cubans of the horrible conditions which exist on the island apparently has proven Castro wrong, at the time the dictator was associating sectarianism with the ugly features of Moscow-style socialism. Additionally, it was clear the old Party had limited credibility; during his attack on the old Communists, Castro brought back memories of the notable lack of Party participation during the revolution when he accused them of "hiding under their beds" while rebels fought Batista. Smartly enough, Castro ended the speech in a note of unity, yet called for the Communists to "show modesty in their attitudes towards the revolutionaries." The purge which followed was quietly controlled, although a month later Castro claimed that the problem was worse than he had imagined and there was "not one but five hundred Escalantes causing problems." Furthermore, in a brilliant coup, Castro associated all the economic difficulties of the government on the Escalante group and went through many troubles to differentiate himself from the old Communists. Nonetheless, except for the complete overhaul of the Party, many old Communists remained in various high posts; there they would stay until further purges were executed in 1966. Gone were Escalante and all his appointees. Additionally, removed from the public eye was the Party's old boss, Blas Roca (he re-emerged in 1968). Following the assassination of the student leaders of the 1957 attack on Batista's palace, suspicion had immediately fallen on Marcos Rodriguez, a Communist student and occasional member of the Directorio Revolucionario political arm. Immediately after the Revolution, the widow of one of the martyrs directly accused Rodriguez as a traitor and Rodriguez was arrested. The widow was given permission to interrogate two of Ventura's (Havana's former police chief) bodyguards, then in rebel jails, and obtained a description of the informer which fitted Marcos Rodriguez. However, at the order of Communist leaders, the two bodyguards were quickly executed before they could be brought to face Rodriguez (and possibly identify him) and he was quickly released. On March 16, 1964, Revolucion noted the fact that Marcos Rodriguez was on trial for the Humboldt Seven crimes. A stunned courtroom heard Rodriguez admit to being a Communist and confessing to the crime. The next day, in a secret session, Commander Faure Chomon, a survivor of the attack, delivered a blistering indictment of the old Communist guard. To make matters worse, Major Guillermo Jimenez, a friend of the students and a key member of Castro's military intelligence group, added his opinion as to why Rodriguez had committed the crime. "His act of betrayal was basically the result of his formacion," said Jimenez. As Halperin notes, the key word here was formacion, literally "formation," "training" or "upbringing," but in the context used, the implication was clearly that of "political formation." Jimenez was referring acutely with caustic vigor to Rodriguez association with the old Communists. Two days later Rodriguez was convicted and sentenced to death; more damage to the Party was still to come. Partially in order to quell rampant rumors that swept the island, Castro ordered that the trial records be made public, and a new trial conducted. Among the evidence presented by Chomon, was a letter written by Rodriguez to Joaquin Ordoqui, then the Army's quartermaster general and Vice-Minister of the Armed Forces. Ordoqui was an "old" Communist who had survived the 1962 purges and risen to his high post through his considerable influence in the Party. In the letter to Ordoqui, Rodriguez reflected that he was "assigned the task of collecting information concerning the Directorio Revolucionario by working within that organization." He then named other Communists who were in the Party's intelligence service. Rodriguez then rationalized his treason by calling it "necessary and concerned with the integrity and purity of the revolutionary struggle" (we must remember that the Directorio Revolucionario had been strongly anti-Communist). Rodriguez further reminded Ordoqui that, at the time of his first arrest (in 1959) he (Rodriguez) had consulted Ordoqui with the idea of publishing a declaration of innocence. Ordoqui, Rodriguez continued in the letter, had dissuaded him since "the proposal was not tactical or prudent and would have precipitated a big scandal." 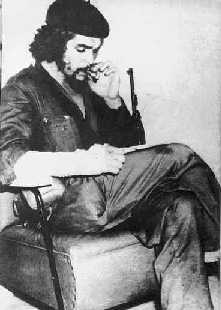 The second trial was a skillful gamble by Castro to reduce Rodriguez entanglement with the present Communist state/party. However, Rodriguez then confessed that in late 1958 he had confessed his crime to Edith Garcia Buchaca, wife of Ordoqui and a leading "old" Communist, and, at the time, Castro's Minister of Culture. Furthermore, evidence came out suggesting that the Communists had successfully protected Rodriguez during his arrest in 1959. On the last day of the trial, Castro acted as prosecutor and once again closed the trial in an air of unity. However, soon afterwards Rodriguez was executed. The fates of Joaquin Ordoqui and Edith Garcia Buchaca were also sealed. Eight months later Ordoqui was placed under house arrest. His wife Edith was also removed from her post, presumably to share her husband's arrest. No word of their fates has ever been released." In 1965, the name of the Communist Party once again changed; it was no longer the PURS, but it was now the Communist Party of Cuba (PCC - Partido Comunista de Cuba). Although the purges of 1966 were not specifically aimed at the "old" Communists, their execution continued to reflect Castro's dominance of all the reigns of government. Earlier in 1965, both Hoy and Revolucion had been closed and the new Party newspaper re-emerged as Granma, so named after Castro's rebel yacht. In early 1966, a plot involving Rolando Cubela, a former President of the Students' Union, was discovered. Cubela was sentenced to 25 years in prison for his part in a plot to assassinate Castro (a rather magnanimous sentence when compared to Brigadier General Ochoa's death sentence for much lesser charges 23 years later). That same year, Efigenio Almejeiras, Castro's first chief of police and at the time Vice Minister of the Armed Forces was dismissed from the Central Committee of the Communist Party for "moral offenses." His dismissal was followed by a national purge of corrupted elements, a brilliant move by Castro to "clean house." Finally, in 1967, Armando Acosta, the long time Communist boss in the Oriente province was dismissed with some publicity, apparently the result of personal excesses. Anibal Escalante, who had been exiled to Prague in 1962, returned to Cuba in 1964. He was assigned a minor administrative post in a small farm away from Havana, in relative obscurity. Escalante was soon up to his old tricks, and quickly established contacts with other "old" Communists, who, like himself, had failed significant power positions in the Castro government. However, soon a series of meetings at Escalante's farm were being attended by such Communist elite as Jose Matar, first chief of the important Committees for the Defense of the Revolution and Ramon Calcines, the sugar workers' leader in Las Villas province. On January 28, 1968, the news disclosed that two prominent members of the Communist Party's Central Committee had been fired along with nine rank-and-file members. A week later, 34 individuals, including the Central Committee Communists were sentenced to various prison terms. The second Escalante purge was in full swing. Leading the sentences, Escalante received fifteen years in jail. There would be no safe exiled for the old Communist this time. A more serious complication of this purge, however, was the discovery of Soviet assistance to Escalante. Manuel Pineiro Losada, Castro's Deputy Interior Minister in charge of the State Security Department, was responsible for this discovery. Apparently, Pineiro had accidentally found Escalante in a secret meeting with a KGB Agent. The Cuban immediately reported this to Raul Castro, who was in charge of the Escalante trial. The Russians were furious that Pineiro had not reported the discovery to his KGB advisors in the Cuban Interior Ministry, and asked Raul Castro to arrest Pineiro. Researcher Tad Szulc claims that Raul was told by the Soviets that "we are Pineiro's bosses... not you." The younger of the Castro brothers closed the matter by warning the Russians that "it would be rather painful to find here a Soviet official, diplomatic or not, involved in a matter of internal character." How this dispute was eventually settled is only a matter of speculation. It is clear that the Cubans won; Escalante and his followers were jailed, and the red-bearded Pineiro Losada eventually became the powerful head of the Central Committee of the Department of the Americas. By 1968 Castro was heavily dependent upon the Soviet Union for Cuba's economic survival, yet Castro's brand of Communism continued to clash with the official Moscow line. Even Castro-apologist Saul Landau quotes Castro speaking about the "deformations" of Soviet socialism and speaking angrily about the Soviet's conservatism, their fear of revolutions, heavy bureaucracy and divorce from the masses, and goes as far as blaming Che Guevara's death as a result of the Moscow line being followed by the Bolivian Communist Party. It was not until December of 1975, ten years after the founding of the PCC and 17 years after the defeat of Batista that the PCC held its first Congress, which finally "institutionalized" the Party within the Cuban government. In December of 1976, Fidel Castro was unanimously elected President of the Council of State, automatically becoming Prime Minister (without a Parliament! ), thus becoming the only leader in the Soviet bloc to hold both jobs. Already the First Secretary of the Central Committee of the Communist Party, and the Commander-in-Chief of the Armed Forces, his control over Cuba was supreme; Castro was Primus inter pares. However, the Communists' challenges to his power were far from over. Although Castro's firm control of the Cuban government has never been challenged to the level of the Escalante affairs, some interesting events during the 1980's point to his displeasure with the PCC. In 1984 Castro dismissed many top government and Party leaders. A key dismissal was that of Antonio Perez Herrero, the Party's Secretary for Ideology. Perez Herrero had sought to apply pure Marxist-Leninist theory to run Cuba. His ideology apparently steered away from Castro's and his firing in 1985 was the first major sign of a dispute since 1968. Furthermore, the advent of perestroika throughout the Communist world, apparently also pushed to the Cuban Communist Party by Moscow failed to root in Cuba. If there was hope for a more flexible "new Communist" political environment, it was smashed during the 1991 meeting of the Popular Power Assembly session to reform the Constitution. Basically, the Constitutional "reforms" did not include any of the perestroika reforms advocated by some elements within the Party, perhaps under Moscow's suggestion. If any Cuban Communist had an illusion Castro was going to tolerate Glasnost and Perestroika in Cuba, they were quickly destroyed as Castro. "The Horse" as he is known to Cubans, if anything, assumed tighter control of the government. Commitment to a one-party system and the introduction of Constitutional Articles allowing the declaration of a state of emergency during which all powers are vested on the President of the Council of State. Essentially, in case of emergency, all legal powers have been delivered to Castro himself, including the right to declare that an emergency exists. 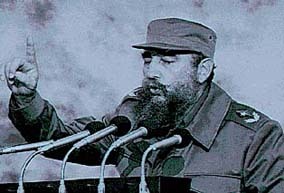 In October of 1997, Castro led several actions which significantly reduced the size of the Party's Central Committee (from 225 to 150 members), and focused its prime task to "throw up ideological defenses and ensure that the Party does not suffer the same fate as Communism in the former Soviet bloc". Raul Castro, who in the early hectic days of victory as a young, slim, blond guerrilla fighter, seemed almost frail compared to his tall, husky brother, has been handpicked by Fidel to take over in the event of Fidel's death. The younger Castro is five years junior to Fidel and in apparent good health. A Communist since his youth, he has nonetheless supported Fidel throughout the history of the Revolution and the two brothers apparently get along well. 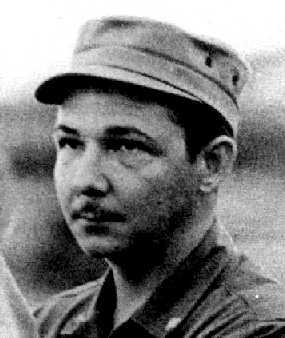 Raul Castro, in fact enjoys the reputation of being a hardliner and many of the most important figures within the dictatorship are his protégés, such as General Abelardo Colomé Ibarra, who took over as Minister of the Interior after the execution of General Ochoa Sanchez and was promoted to Vice-President of the Council of State. Others include José Ramón Balaguer, former Cuban Ambassador in Moscow and now responsible for ideology and international affairs in the Communist Party and José Ramón Machado Ventura, one of the leaders of the Communist Party and a Vice-President of the Council of State. Furthermore, in 1996 Raul Castro warned Party officials that there was no room for Soviet-style "glasnost" in Cuba, and has consistently shown a more intransigent stance in dealing with reforms and changes. There are many variables which will decide if the post-Castro transition is a peaceful one. The return of thousands of exiles, the claiming of property, the unification of families, all will play a significant part in a post-Castro Cuba. Race will also play an important part in what happens in Cuba when the eldest Castro dies. In the event that his younger brother fails to take over the Revolution's baton, and Cuban exiles return in force, racial problems could arise. Cuba's population was 72% white in 1958, but a mostly white massive migration has caused a wide racial shift and now Afro-Cubans and mixed race Cubans make up about 64% of the population. Although, with few exceptions, the Cuban Communist regime is composed mostly of white Cubans, the island's current racial majority is sure to demand a larger voice in running a post-Castro government; which ironically they last had in the person of Fulgencio Batista in 1959.